This article is the first in a three-part series about how the Archdiocese of Detroit responds to, works to prevent and seeks to help victims of sexual abuse. 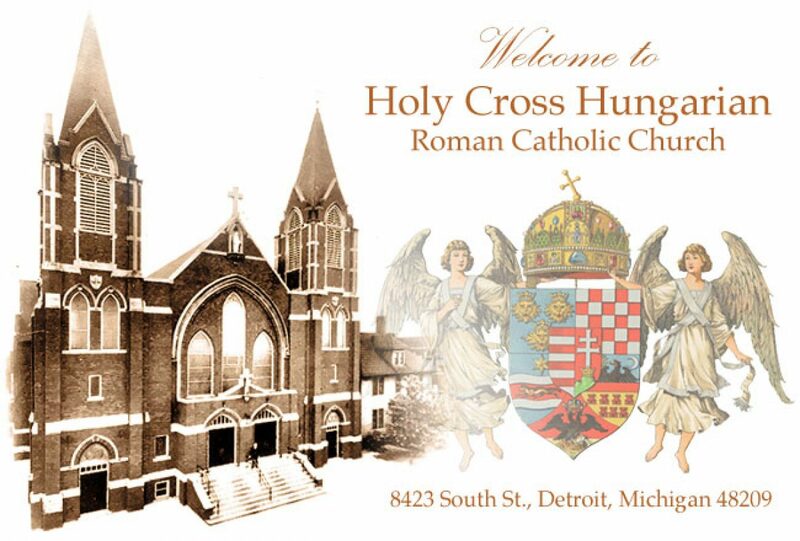 DETROIT — In 2002, at the height of a national scandal rocking the Catholic Church over allegations of clergy sexual abuse, Michigan Court of Appeals Judge Michael Talbot received a call from then-Detroit Msgr. Walter Hurley. The Archdiocese of Detroit, like most dioceses around the country, was working to implement the sweeping reforms of the Charter for the Protection of Children and Young People, which had just been adopted by the U.S. Conference of Catholic Bishops as a first — and long overdue — step toward addressing the scourge of clerical sexual abuse that had plagued the church in the United States. Seventeen years later, the recently retired judge is still serving in that role, helping lead the archdiocese’s response to cases of abuse, and ensuring the church in Detroit remains vigilant in protecting children and adults who are most vulnerable to predatory behavior. The 2002 establishment of what is known as the Dallas charter — named for the location where it was adopted — was the beginning of concrete reforms to hold U.S. dioceses accountable for their actions addressing sexual abuse, but it wasn’t the start of reform in the Archdiocese of Detroit. In 1988, the archdiocese became one of the first in the United States to establish a formal policy related to the sexual abuse of minors by clergy, which led to the creation of an independent, lay-led board that served as a precursor to the Review Board that exists today, reconstituted under the norms of the charter, Judge Talbot said. The function of the six-member board, as its name suggests, is to review any and all cases of alleged sexual abuse reported as having been committed by clergy or those in positions of authority in the local church, and to make recommendations to Archbishop Allen H. Vigneron regarding an accused priest or deacon’s fitness for ministry. The board meets quarterly, unless circumstances or new cases require an immediate meeting, to discuss and review the archdiocese’s policies and to consider any cases that require attention. Detroit’s Review Board is made up of six individuals, with expertise in various fields, capable of providing insight into the sexual abuse crisis. Besides Judge Talbot, who was instrumental in the drafting and adoption of Michigan’s first Victim’s Rights Act, the current independent board includes the former head of the child abuse unit for the Wayne County Prosecutor’s Office (Nancy Diehl), a certified school psychologist (Sharon Antczak), a high-ranking health care executive (Robert Asmussen), a local pastor (Fr. William Tindall) and the former archdiocesan superintendent of Catholic schools (Sr. Frances Nadolny, OP). Cases are brought before the Review Board in a number of ways, including through the archdiocese’s toll-free victim assistance hotline and email address, as well as through verbal complaints. All complaints are considered regardless of when the alleged abuse took place. Before anything else takes place, the first responsibility of the Review Board is to ensure the claim has been reported to the proper civil law enforcement authorities. In 2002, the Archdiocese of Detroit signed voluntary agreements with the prosecutors of each county to turn over case files of priests previously accused of sexual misconduct, as well as to report all new cases. “The first thing that happens — the very first thing — is that the attorney for the archdiocese sends the information on to the appropriate prosecutor for one of the six counties in the Archdiocese of Detroit. So right off the bat, before we consider credibility or anything like that, the first thing we do is we notify law enforcement,” Judge Talbot said. The purpose of the Review Board’s own investigations is not to duplicate the efforts of law enforcement, Judge Talbot said, but to ensure that the Church is doing all it can to protect and assist victims, even where secular legal proceedings might have limits — such as in the case of a deceased priest, a lack of evidence available for prosecution, or when the statute of limitations has run out. When the Review Board considers a case, regardless of the timeframe or priest involved, the standard of evidence required to take action is considerably lower than the standard for secular authorities. In canon law, if a claim is considered to have a “semblance of truth,” meaning it appears to be or could be true, it’s enough for the priest or deacon involved to be removed from ministry. If a claim is judged to be credible, the accused priest or deacon is immediately restricted from ministry. The archbishop then forwards the case to the Vatican’s Congregation for the Doctrine of the Faith, which can authorize a canonical trial, said Msgr. Bugarin, the archbishop’s delegate and episcopal vicar for cases involving church personnel misconduct. While only the Vatican can permanently remove a priest from the clerical state, a move known as laicization, the archbishop can authorize a temporary restriction of the priest’s ministry, Msgr. Bugarin said. This includes the inability to publicly celebrate Mass and the sacraments, publicly present oneself as a priest, or be near children and vulnerable adults. No priest or deacon with a credible claim against him is allowed to return to ministry pending investigation, and any priest who is restricted or removed from ministry — regardless of whether there’s ever a criminal conviction — is monitored by a retired parole officer to ensure they comply with the terms of the restrictions, Msgr. Bugarin said. Some of those removed from ministry are required to submit a written or oral report to Grant once a week, while others report monthly. “Sometimes she makes surprise visits, and then she reports back to me and to the Review Board about what the men are doing,” Msgr. Bugarin said. When a criminal conviction is made, the archdiocese also ensures the convicted priest or deacon is still monitored after their civil sentence has been served, Msgr. Bugarin said. 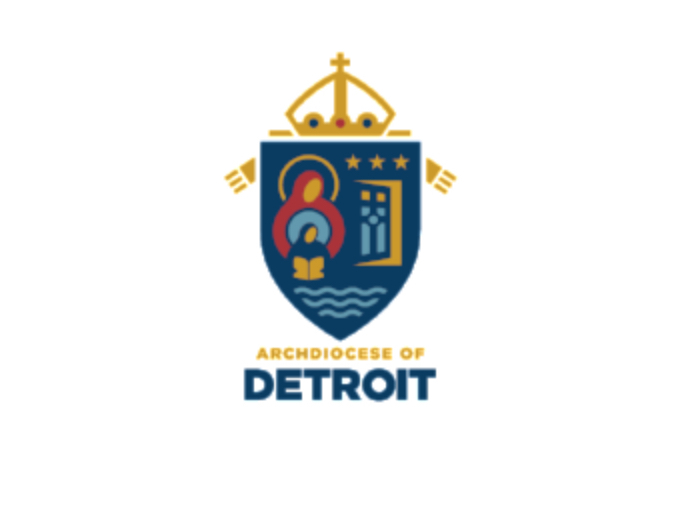 When a priest is restricted or removed from ministry for reasons related to sexual misconduct, parishes and schools at which they’ve served are immediately notified, and their names are published on the Archdiocese of Detroit’s website. Names of credibly accused clergy have been published since 2002, and the list includes all clergy with known, credible allegations — including religious order and deceased priests. Local media are also notified whenever a new name is added. While some might question posting the names of clergy accused of sexual misconduct without a criminal conviction, Judge Talbot defends the practice as necessary for safety and transparency. “We have to be in a position where people can believe that we are doing what is right, rather than [doing things] secretly,” Judge Talbot said. “Second, it is out of respect and affirmation to the victims who came forward. And third, it is not uncommon that other victims come forward once they see that name posted. And very often, the manner of the abuse in the new cases will echo the manner of abuse in the older cases. Since 2014, the archdiocese’s list has also included the names of deceased clergy with allegations of sexual misconduct that were deemed to be credible after the accused died. When a report of sexual abuse is made against a deceased priest, the Review Board’s process remains the same, Judge Talbot said. In November, the archdiocese publicized a report of abuse against a priest who died in 1994, Msgr. Thaddeus Ozog, after the Review Board determined an allegation against the former Sacred Heart Seminary rector contained credibility. “We reported that case to the prosecutor’s office. And I know that sounds odd, but the prosecutor in every county needs to be confident that we’re not going to pick and choose cases. We’re going to report everything and not pre-select and cherry-pick,” Judge Talbot said. Though the makeup of the Review Board has changed some over the years — members are appointed to serve five-year terms — its essential structure and purpose has remained the same since 2002. Having so many different voices and individuals with diverse expertise helps not only to ensure that cases are examined from a variety of perspectives, but also to signal to victims and the public that the Archdiocese of Detroit treats each complaint with the utmost seriousness, Msgr. Bugarin said. As the archbishop’s delegate for cases involving clergy misconduct — a canonically established position — Msgr. Bugarin is not himself a member of the Review Board, but acts as a liaison between its members and the archbishop. He also coordinates the archdiocese’s staff and the rest of the team responsible for promoting safe environments and responding to allegations of abuse, while handling canonical and disciplinary actions with priests in addition to his regular responsibilities as pastor of St. Joan of Arc Parish in St. Clair Shores. Having a separate, independent board responsible for reviewing cases is important for maintaining transparency and accountability, Judge Talbot said. Its members also recognize their role in helping victims to heal, by ensuring they receive the justice they deserve from the Church. This article is the second in a three-part series about how the Archdiocese of Detroit responds to, works to prevent and seeks to help victims of sexual abuse. DETROIT — When it comes to sexual misconduct and abuse by clergy and church personnel, even one such case is one too many. That’s why, in addition to implementing robust policies and procedures designed to respond swiftly and decisively to allegations of abuse, and training personnel dedicated to assisting victims, the Archdiocese of Detroit invests heavily in training programs and background checks to stop abuse before it begins. For retired Michigan Appeals Court Judge Michael Talbot, chairman of the archdiocesan Review Board, and Msgr. G. Michael Bugarin, Archbishop Allen H. Vigneron’s delegate for matters of clergy and church personnel misconduct, such programs prove a reverse of the old adage: In this case, the best offense is a good defense. As a result of the Charter for the Protection of Children and Young People, adopted in 2002 by the U.S. bishops in the wake of the sexual abuse crisis, nearly every diocese in the country employs safe environment programs designed to shine light on circumstances where sexual abuse might occur, teaching children to identify dangerous situations, and training adults to spot warning signs and to report potential misconduct whenever they see it. In the Archdiocese of Detroit, more than 104,000 adults have been trained through a national program, VIRTUS’ Protecting God’s Children, created by the National Catholic Risk Retention Group. It is mandatory for all clergy, employees and church representatives, as well as volunteers with unsupervised access to children or vulnerable adults. The program has been conducted in the Archdiocese of Detroit since 2002, said Msgr. Bugarin. And while background checks are meant to keep abusers from entering church ministry, safe environment programs target the entire community, creating an army of individuals with the ability to spot dangerous or suspicious situations and to respond quickly and correctly. Sharon Gorman, the Archdiocese of Detroit’s safe environment coordinator since 2009, says approximately 6,000 adults are trained each year in the archdiocese, about 60 percent of whom are volunteers. Protecting God’s Children responds to that reality by recognizing the need for adults to be vigilant and aware of a child’s surroundings, and to take action when warning signs are present. Nearly anyone who works in a regular capacity in the Church is required to go through the training, but certain individuals — such as teachers, principals or social workers — have a greater responsibility as “mandatory reporters” of abuse, meaning they are required by law to report any suspicions of potential abuse, either to their superiors or to authorities. Taking the decision of whether to report suspected abuse or neglect out of the hands of an individual removes any hesitation the person might harbor over what others might think, Judge Talbot said. Adults aren’t the only ones required to go through safe environment training. 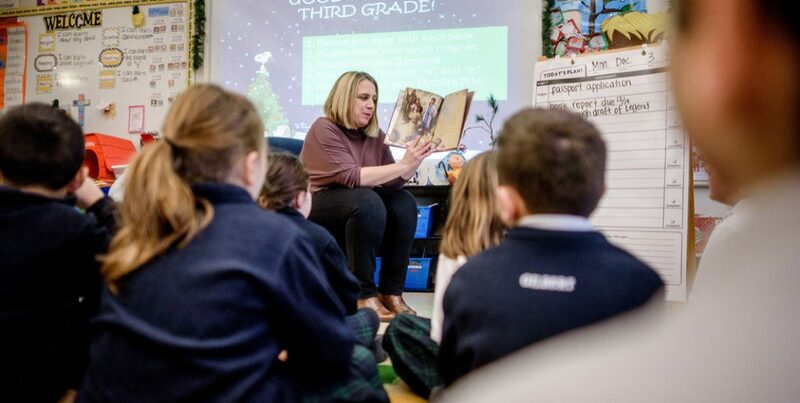 Each year, more than 29,000 children in Catholic schools and 39,000 in religious education programs are taught how to identify potential warning signs of abuse through various age-appropriate programs. For instance, the Circle of Grace program for elementary and high school students enrolled in religious education teaches students “to recognize God’s love by understanding that each of us lives and moves within a Circle of Grace” as well as “to seek help from a trusted adult, reinforcing God’s presence in their real life struggles,” according to a description of the program. Parents can opt out of having their children complete the programs, and that information is included in an annual audit. In addition to mandatory training, codes of conduct and criminal background checks at the archdiocesan level and at Sacred Heart Major Seminary, each parish and school has a designated safe environment coordinator who is responsible for ensuring checks are done and all volunteers and staff have been trained, Msgr. Bugarin said. This data then is reported to the archdiocese. “Parishes also have to go through an annual audit instrument,” Msgr. Bugarin said. In turn, the archdiocese itself is required to submit to an annual audit by the U.S. Conference of Catholic Bishops, which collects the data and issues an annual report. The audit, facilitated by StoneBridge Business Partners of Rochester, N.Y., is conducted on site every three years — including random visits to parishes — and via paper reporting during off-site years. The last on-site audit was conducted in 2017 in the Archdiocese of Detroit, which was found to be in compliance with the terms of the Dallas charter. “We have to ask every parish, and there has to be 100 percent returns on the survey,” Msgr. Bugarin said. “They’ll get emails from me and emails and phone calls from Sharon Gorman, [the archdiocese’s safe environment coordinator,] and we’ll hunt down every parish until they complete it. And we will audit that information ourselves, going back to make sure the data is correct and to watch the trends. While sexual abuse remains a problem in society and in the Church, there is evidence that the programs put in place by the USCCB and in dioceses across the United States are having an effect. According to a study by the Georgetown-based Center for Applied Research in the Apostolate, just 22 new cases of clergy sexual abuse are alleged to have occurred in the United States between 2015 and 2017. While no amount of abuse can be tolerated, those numbers are dramatically lower than the peak decades of the 1960s, ‘70s and early ‘80s, and the number of new cases has continued to decline since the adoption of the Dallas charter in 2002. The archdiocese still encourages people to report their abuse regardless of when it took place, Judge Talbot said. In fact, bringing old cases of abuse to light can help identify ways the Church can do a better job protecting children and abuse victims today, he said. And that knowledge isn’t just applicable in the Church; it might also protect people from an abusive family member, neighbor, spouse or friend. “There are individuals now who are coming forward and saying, ‘I was a victim. I didn’t do anything wrong; just the opposite. And I’m prepared to talk about that if it would help inform others,’” Judge Talbot said. The programs are doing the job for which they were intended, Msgr. Bugarin said. To learn more about the Archdiocese of Detroit’s safe environment policies, codes of conduct and programs, including Protecting God’s Children for adults and various age-appropriate programs for children and teens, visit protect.aod.org/training-screening. Individuals wishing to report suspected sexual misconduct or child abuse within archdiocesan institutions and ministries are encouraged to report abuse directly to law enforcement. To speak to the Archdiocese’s Victim Assistance Coordinator, please call (866) 343-8055 or email vac@aod.org. Know the Warning Signs: Knowing the warning signs means we can recognize the early signs of an inappropriate relationship between adults and children and can identify potential abuse before it happens. Control Access through Screening: We are careful about who we allow to work with our children and include items that must be completed prior to ministry. Monitor all Ministries and Programs: All ministries and programs should be supervised to ensure that proper policies and procedures are followed to keep children safe. If an abuser knows that someone is watching, they have more trouble finding opportunities to abuse without getting caught. Be Aware of Child and Youth Behavior: When we observe and communicate with our children we are more likely to detect the signs if they are in danger. Communicate Your Concerns: Communicating concerns means confronting or telling someone when you are uncomfortable with a situation or discussing suspected abuse with a state official and supervisor. It means paying attention to your own feelings and not waiting until it is too late. This article is the third in a three-part series about how the Archdiocese of Detroit responds to, works to prevent and seeks to help victims of sexual abuse. DETROIT — Seven days a week, 365 days a year, Marge Huggard is on the job. She never knows when a call might come in from someone who has been hurt, affected or angered by the sexual abuse crisis in the Church, whether by a member of the clergy or a church worker. But when a call does come in, she is ready to listen. As the victim assistance coordinator for the Archdiocese of Detroit, it is Huggard’s job to be a compassionate ear, a proactive advocate and a partner for survivors of abuse and their families. This job puts her on the front lines of archdiocese’s commitment to caring for those who’ve suffered grave indignities at the hands of church representatives, and walking with people on their road to recovery and healing. Huggard always strives to be a voice of empathy, whether she’s speaking to someone about a priest who abused them long ago, a concerned parishioner worried about the inappropriate conduct of a staff member, or even just someone who wants to vent. Huggard isn’t an employee of the Archdiocese of Detroit, but is independently contracted by the archdiocese to carry out her work. All 197 dioceses and eparchies in the United States have a victim assistance coordinator, a position that was established in 2002 as part of the Charter for the Protection of Children and Young People, adopted by the U.S. bishops as a response to the national sexual abuse crisis. Huggard doesn’t set expectations for the calls she receives, but lets the caller steer the conversation. If the person wishes to report abuse, Huggard takes the person’s information and reports it to the archdiocese’s abuse response team, including the Archdiocesan Review Board, which then forwards the claim to the proper civil authorities before beginning its own investigation. Sometimes, a report isn’t made over a single phone call. When a person decides to call, it can take time for them to feel comfortable fully sharing the details of such a painful circumstance, Huggard said. Though the vast majority of complaints involve abuse that was committed decades ago, Huggard said it’s important for victims to know that the Archdiocese of Detroit stands with them and wants to help. For those open to counseling, Huggard can arrange for a licensed therapist — paid for by the archdiocese — to walk with them through their emotions and experiences. While Huggard does not herself provide therapy, the counselors she recommends are master’s level social workers or psychologists trained to work with survivors of physical, sexual or emotional abuse, including those who experience post-traumatic stress. One of the hardest parts of making a report of sexual abuse can be its effect on family dynamics when a secret kept for decades — even from a person’s spouse or children — is revealed. It’s not uncommon for people to spend years coming to terms with what happened, Huggard said, especially if the person grew up in an environment where a priest’s word might be taken over a child’s. Huggard credits the #metoo movement, as well as media reports about the crisis, with helping victims find the strength to tell their stories, which ultimately leads to healing and allows the Church to confront such sins. “It takes a lot of courage to make that phone call. I know that, and I applaud them for doing that. And I think they know that I do,” Huggard said. If a survivor or their family wishes to meet with Archbishop Allen H. Vigneron, Huggard arranges for that to happen. Usually, the family will meet first with Msgr. G. Michael Bugarin, the archbishop’s delegate for matters of clergy and church personnel misconduct, who will speak with the family and coordinate the meeting. It’s always a difficult conversation for both parties, he said, but victims typically appreciate the chance to be heard by the archbishop, who conducts such meetings with a deep spirit of humility, Msgr. Bugarin said. “Those are very difficult meetings for the victims, and they’re very difficult meetings for the archbishop,” Msgr. Bugarin said. “He expresses a deep sorrow for what has happened. I think one of the hardest parts of his ministry is hearing from the victims; to hear what some of the clergy have done to some of the faithful, it’s just appalling. For Huggard, helping victims cope with traumatic experiences amounts to a form of ministry, even if she doesn’t directly inject religion or faith into the conversation. If there’s one thing she wants survivors, concerned Catholics and others to know, it’s that the Church in Detroit truly cares about helping victims find the healing, justice and reconciliation they deserve.